Swami Atmaswaruparamananda explains the meaning of his long name. He talks about how he became a Swami, a Yoga monk. He speaks about his experiences as a monk. 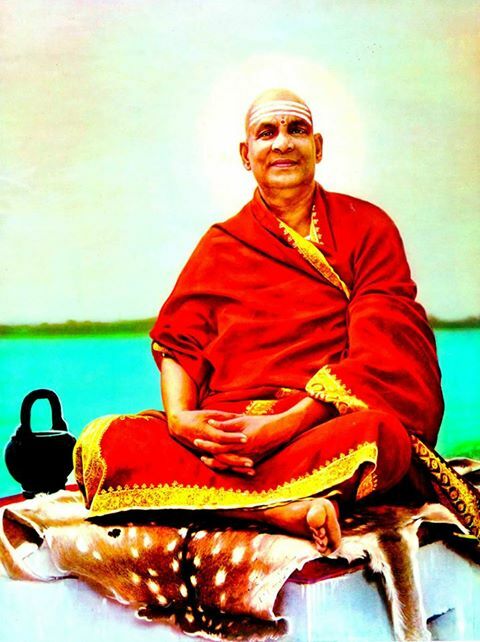 As he is a monk in the Sankaracharya order, he also talks about the Vedanta Philosophy. Swami Atma also talks about the challenges and joys of being a Swami living without the protection and restraints of an organisation. Swami Atma speaks about how he got deeper into Yoga. What made him take a Yoga Teachers Training Course? How did he meet his Guru, Swami Vishnu-devananda? What made him dedicate his life to Yoga? Swami Atma is one of the most popular Yoga Teachers at Yoga Vidya Germany. He is born in France, took his Yoga Teachers Training Course at the Sivananda Yoga Ashram Kerala/India. He became a disciple of Swami Vishnu-devananda in the middle of the 1980s. Swami Atma speaks why and how he started with Yoga. This is part of an interview that Sukadev from Yoga Vidya had with Swami Atma. Listening to how Yoga Practicioners came to Yoga is always inspiring. Swami Atma is born in France, took Yoga Teachers Training Course in Kerala/India, lived in the Sivananda Yoga Vedanta Centers and Ashrams for many years, and is frequently giving Yoga Seminars and Training Courses at Yoga Vidya Germany. Swami Atma is founder of Advaita Yoga Ashrama. This Talk is available on Video also. Vedanta is the Path of Experiencing Oneness. Swami Atmaswarupananda gives you some hints how to overcome the World of Dualities. Live Recording from an Early Morning Talk in Sivananda Ashram Rishikesh. Swami Atma speaks very slowly, and has some meditative way of introduction. But this talk is really worth listening.